One of the most unique thrill rides of 2017 has finally opened, and that's the Haunted Mine Drop at Glenwood Caverns Adventure Park in Glenwood Springs, Colorado. The attraction is being billed as the first ever to drop riders underground. 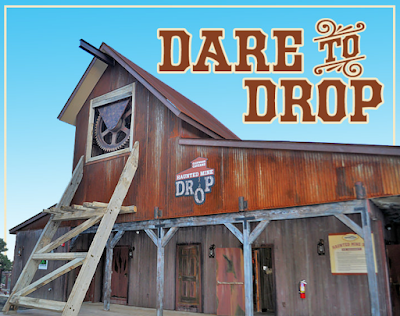 The park has created a highly themed free fall experience perched at the edge of Iron Mountain, offering great views before guests enter the spooky formerly-abandoned mine. 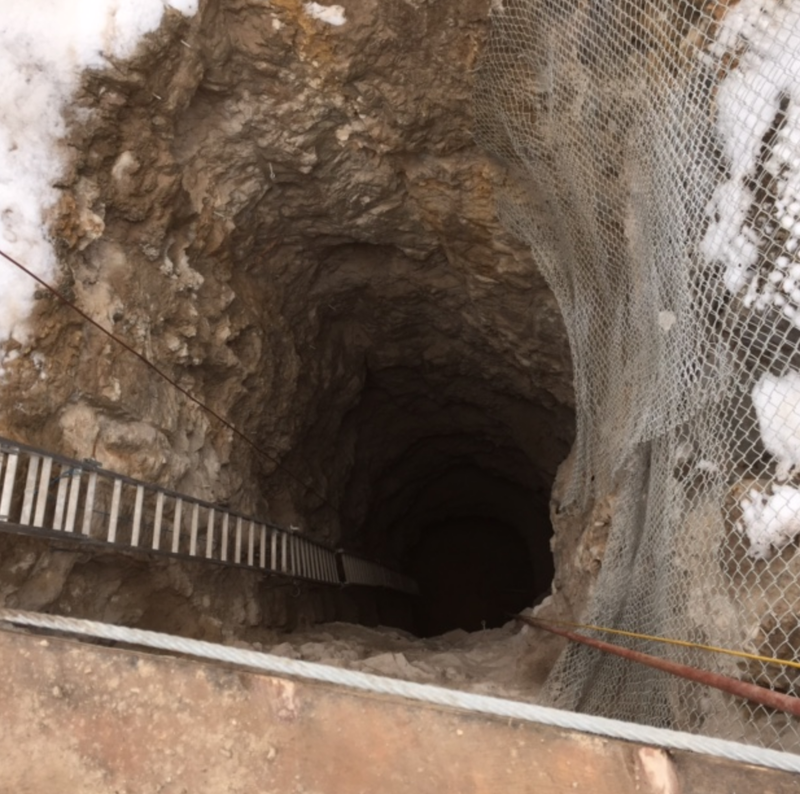 The attraction's story line has riders entering the mine for their first day on the job at the Glenwood Mining Corporation, which is now open again after a mine accident that took place more than a century ago. The queue contains plenty of authentic props, signage and special effects like a Pepper's ghost illusion that tells the true story of the mine. After boarding the mine vehicle riders drop 110 feet down, in darkness, through a real mine shaft that the park dug. Glenwood Caverns hired Stan Checketts, a well known creator of many thrilling rides, to design the free fall hardware for the attraction. Creative Visions, based in St. Louis, created the storyline and special effects. For more views of the Haunted Mine Drop, check out this news story along with this piece from Theme Park Insider. Congratulations to the park on opening such a unique ride!